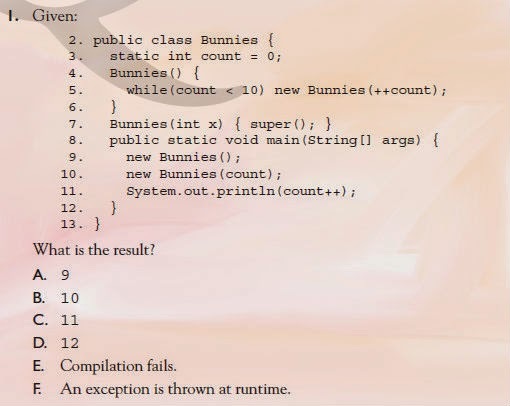 What will be the output of the following Java program ? B is correct, It’s legal to invoke "new" from within a constructor, and it’s legal to call super() on a class with no explicit super class. On the real exam, it’s important to watch out for pre- and post-increment.